Do you provide vehicles to your employees? As a business owner, if you make a car you own or lease available for the private use of your employees, you may be providing a car fringe benefit. The ATO have recently issued guidelines to provide some further clarity around the definition of private use of exempt vehicles. 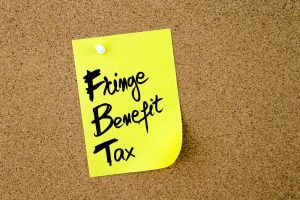 For the purposes of fringe benefits tax, a motor vehicle fringe benefit is exempt where the private use of the vehicle is ‘minor, infrequent and irregular’. 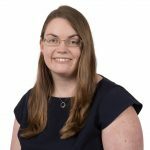 The new guidelines provide clarity around what the tax office expects employers to do in demonstrating that the private use of exempt work vehicles is minor, infrequent and irregular. While home to work travel is not considered private for these vehicles, under the new guidelines, employees must not deviate from their usual route to and from work by more than 2km. If the deviation is more than 2km, the trip will be considered private. The guidelines also suggest that for journeys undertaken for a wholly private purpose, the employee does not use the vehicle to travel more than 1,000km in a year, and no return journey can exceed 200km. The ATO has advised that employers need to make sure they have up-to-date policies on private use of exempt work vehicles to ensure they are compliant with the requirements and to make sure these policies are enforced. We recommend that employers review their vehicles which may be subject to fringe benefits tax for their potential taxation implications. If you would like any assistance with this, please get in touch with one of the team and we will be more than happy to discuss this further with you. What evidences are required to prove your residency status for tax purposes? Record keeping – requirements & tips!